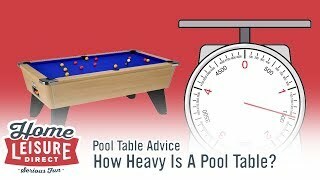 This quick guide will give you a quick look at how suitable a pool table is for playing a game of snooker. 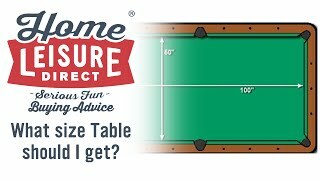 If you’ve ever seen a regular competition snooker table, you will notice that they are much, much bigger in size than a standard pool table. Almost twice the size in fact. 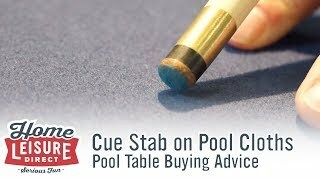 Don’t let this discourage you however from setting up and playing snooker on your pool table though! 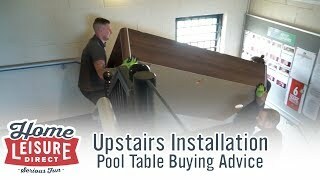 It’s extremely common for our pool table customers to buy a set of snooker balls when ordering a from us to come with their new table, and have a second game to play. 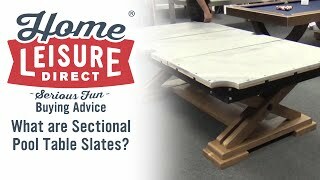 As well as the same slate bed and cloth the game is played on, a snooker table has a very similar pocket style to an english table meaning you do actually get a very authentic game of snooker. A traditional snooker ball measures 2 1/16 inches in size. 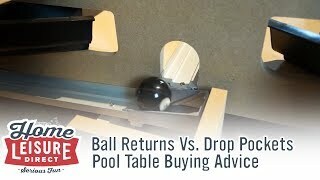 This is ideal for a regular sized snooker table, but rather big if playing on a smaller table (big ball, small pocket). 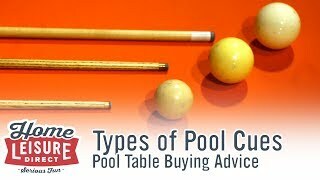 For this reason, snooker ball sets can be purchased in a 2 inch size - the same as a regular English pool ball in both regular and Aramith sets for those looking for higher production and play quality. 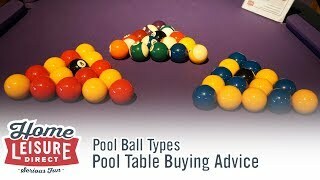 If you purchase a set of snooker balls from us with your order, you don’t need to worry about marking the table up for snooker. We’ll take care of marking everything up in the right place for you. 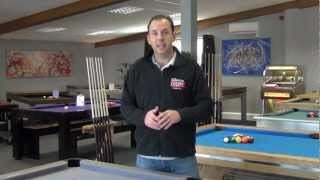 If you decide to set your table up for snooker later however, you can do this yourself with a few basic tools. 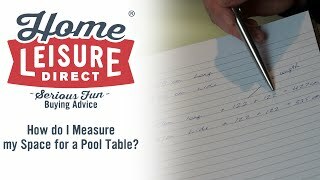 To mark the D onto your table, use the drawing pin to hold the pivot end of the marking stick on the table’s baulk line, then draw the D in your chosen marker using the appropriate hole on the marking stick. There will be a hole for 6 foot tables, a hole for 7 foot tables and so on. Do make sure your pin (and subsequently your marking stick) is in place securely, otherwise you may risk an unsightly mark on your cloth! 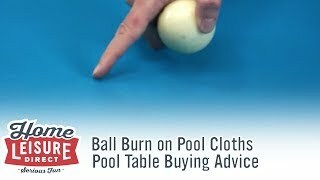 The position of the other object balls can be estimated without too much trouble, but if you wish to mark spots out permanently, then you may wish to consider adhesive spots to stick onto your cloth too, though we would only recommend doing this if Snooker is your primary game. 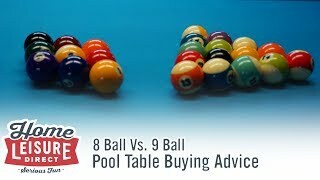 Once the D has been marked, then you’re ready to enjoy a game of snooker! 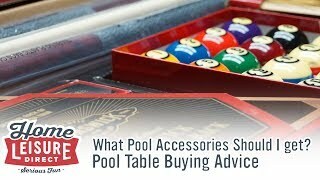 The only real exception to everything we’ve written is American pool tables. 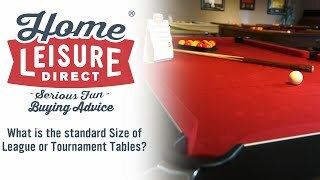 Generally, an American table isn’t as suitable for playing pool due to the larger pocket sizes, the style of cushions and the differences in pocket profile. 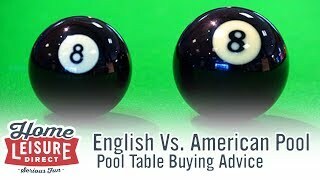 Whilst it is technically possible to play snooker on an American table with the competition specification balls, the game you’ll experience won’t feel as authentic, and generally isn’t something we would recommend. 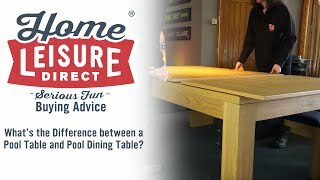 If you would like to try a game of snooker on any of our pool tables to see what the game feels like, then feel free to drop by our showrooms and try some frames. 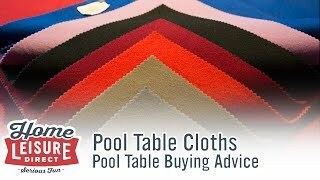 Alternatively, give our trained sales team a call at the showrooms on 0800 622 6464 or 01454 413 636.